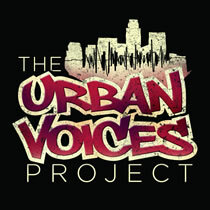 The Urban Voices Choir is composed of artists and performers from the Skid Row neighborhood in Downtown Los Angeles. Throughout the year, they are sharing music and its healing power with many individuals and audiences inside and outside the neighborhood of Skid Row, the epicenter of Los Angeles’s homeless crisis. The choir is one of many programs presented by Urban Voices Project, a non-profit that brings the healing power of music directly to individuals disenfranchised by homelessness, mental health issues, and unemployment. Community singing and music education combine to provide practical opportunities for individuals to transcend their current circumstances and participate in a creative program of positive change. UVP now also serves as a “bridge” to the Wesley Health Clinic’s medical team and social services, broadening the programs reach to Greater Los Angeles County and the initiative of Arts in Health. The Urban Voices Project has found recognition in the front page of the Los Angeles Times and was featured on National Public Radio’s All Things Considered in 2014 as well as The New Yorker in 2018. • Physically, singing requires controlled breathing that regulates the heart rate, triggers a relaxation response, and brings the system to a homeostasis that generates feelings of well-being. Vocalizing improves posture, releases muscle tension, and reinforces a mind/body connection. • Psychologically, singing demands focused concentration, improves mood, invites exploration and self-expression of difficult emotions, and gradually builds self-esteem. • Socially, singing eases isolation and loneliness, quickly builds bonding in groups, encourages and supports positive social interactions, and ultimately combats the disintegration of communities and improves broader social networks. Research supports these commonly observed benefits and reinforces the practicality of offering a choir experience to build and sustain community among the disenfranchised. “Urban Voices Project: Performance Ensemble” is a non-audition Outreach Choir. The ensemble performs high energy music and powerful story-telling to promote the initiatives of Homelessness Awareness, the betterment of Skid Row and Arts in Health. Participants are invited to choir after they have exhibited: Accountability, Integrity, Respect, Commitment, Communication, Cooperation. Rehearsals take place weekly and provide vocal technique and a varied repertoire. Performances occur a few times a month at private and public venues in Skid Row and the greater LA area. Booking: info@urbanvoicesproject.org. “Neighborhood Sing” is an hour-long, interactive program of conscious breathing and vocal exercises, community singing with a diverse repertoire of songs, and guided conversation to provide tools for improving health and wellness, mind and body, for everyone of the community. “Family Sing” is a 30 minute educational, fun and holistic music class that works with children and their parents together to uplift and empower families to connect and communicate with each other, the world around them, and to find a safe haven in the gift of music. “Music Labs” are free extra-curricular music classes taught by professional teaching artists in Skid Row from the Colburn School, LA Philharmonic, LA Master Chorale, LA Opera, and other acclaimed music institutions. 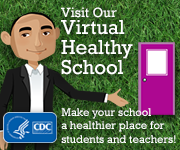 See Curriculum document. Examples of Classes: Music Education, Performance Technique, Songwriting, Songshare, Breathe Management, Music Meditation and more. Case management: Each member who presents need will be referred to a case manager for personalized assistance to access the clinic services, including crisis intervention, conflict resolution, substance abuse, housing, referrals, and mental health issues. The City Club Los Angeles (Wesley Health Center 2014 Gala) on Saturday, October 25, 2014.